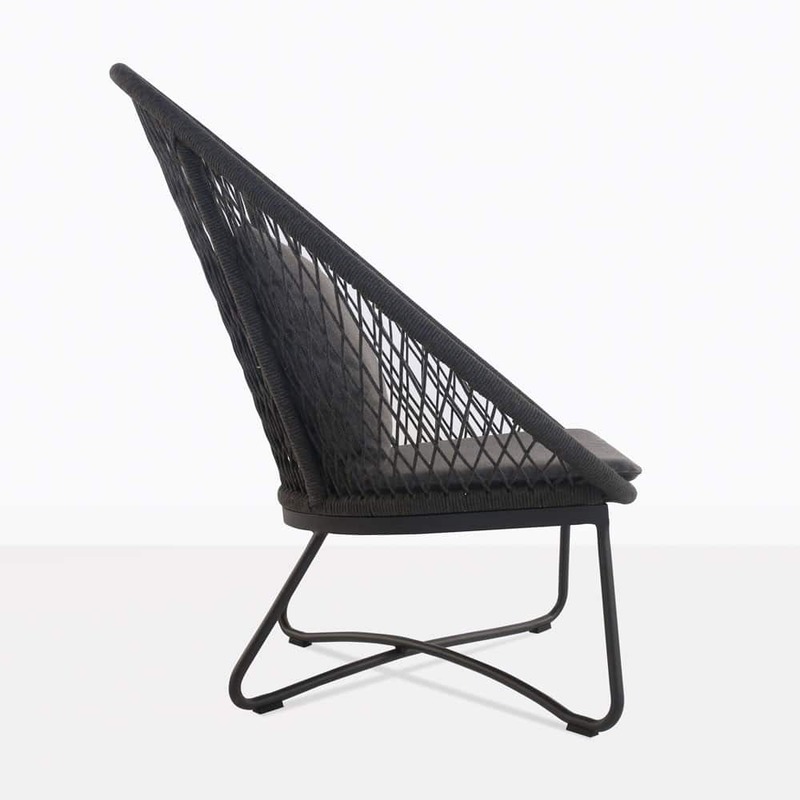 Revel in the extraordinary mid century modern design of our Zaha Outdoor Lounge Chair with High Back. 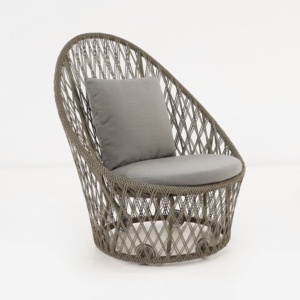 A beautifully detailed piece that will redefine your area, the Zaha Chair features a high rounded back, wrapped with divine rope in a criss cross pattern, giving an airy elegant and contemporary feel to your setting. A soft Sunbrella® cushion dons the back and seat finishing off an inherently comfortable and stylish chair. 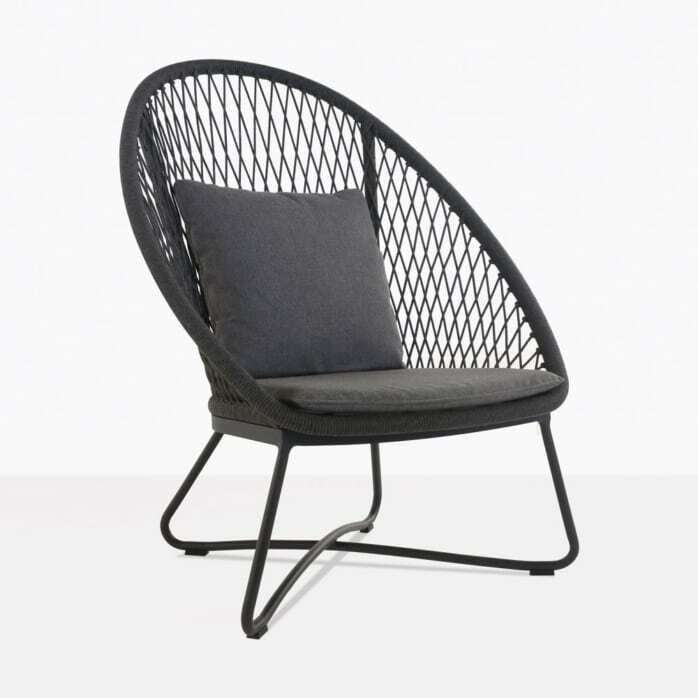 Bring a splash of style and glamour to your outdoor seating area with the Zaha High Back Chair. It has striking good looks, amazing construction, and a form that makes it ultra comfortable. Try several of the Zaha Outdoor Chairs around a low concrete coffee table on a verandah to bask in glorious sunsets with excellent people in lavish comfort and prestigious modern style. Tie this look into a superb deep seating collection by blending materials – your teak sofa sectional complemented by a couple of Zaha Relaxing Chairs in place of usual Club Chairs for an urban flourish. Curate a contemporary haven adding in concrete planters and candlesticks as well as a beautiful cantilever for shade. 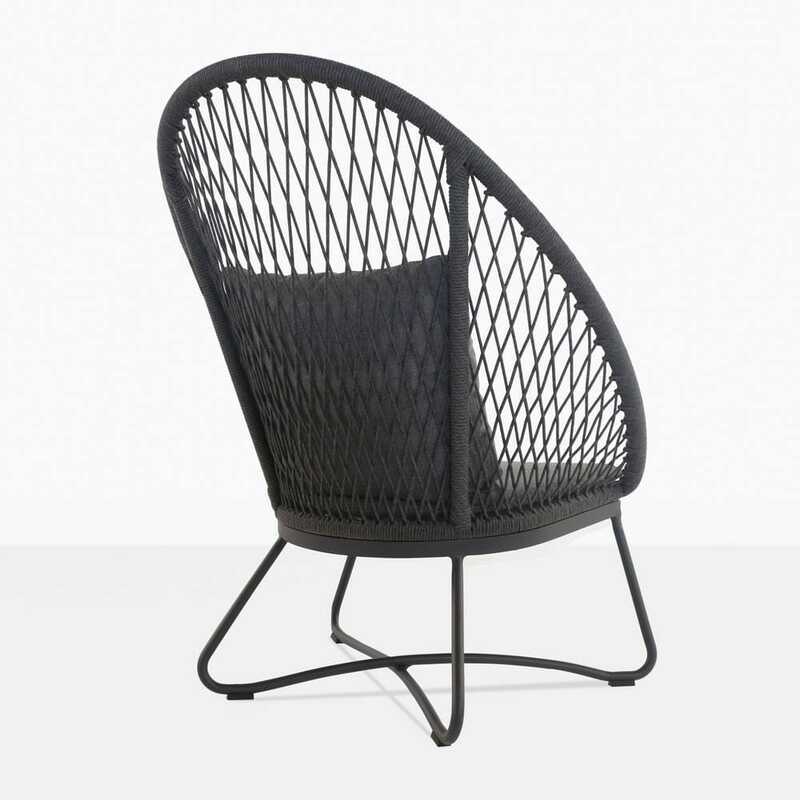 These are also fabulous chairs for indoors as well as out. Place in your home or office for a fabulous lightweight industrial element that many will envy! Whatever you choose, this is a chair worth its weight in style! 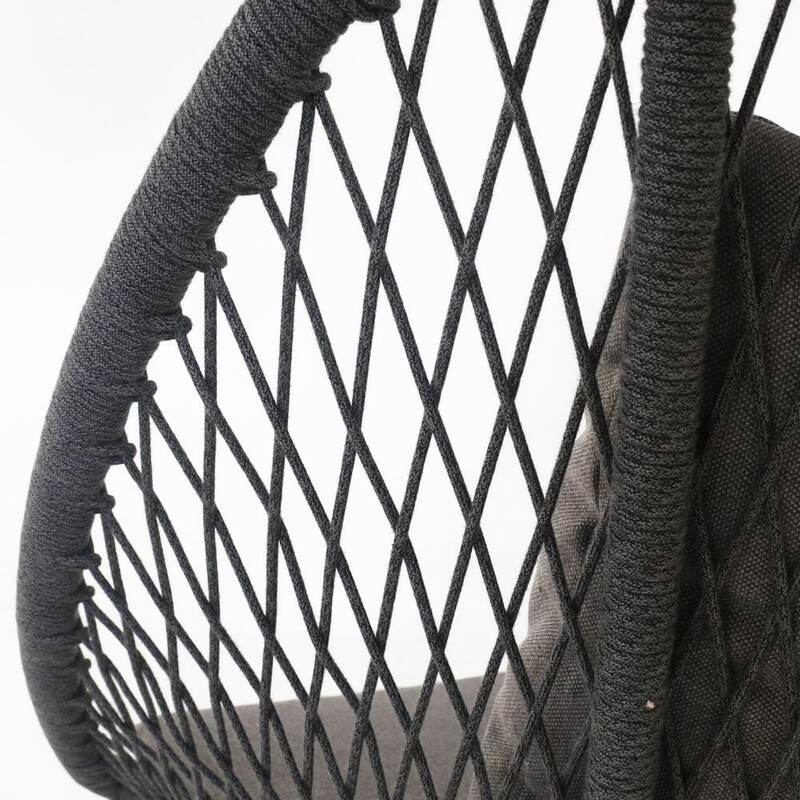 The Zaha High Back Chair is constructed from the highest quality materials giving it long life and a robust framework. 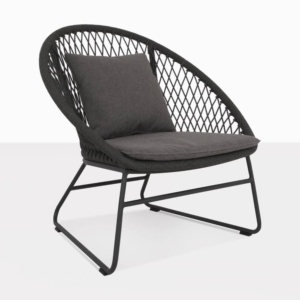 Made with a powder coated aluminum frame and high tech woven rope that is strong so that you can enjoy this chair outdoors without fuss or excessive maintenance. It comes with a free Sunbrella® seat and back cushion, beautifully tailored to fit and finish this fantastic chair. 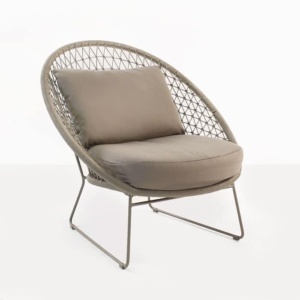 Call Design Warehouse today to establish yourself in fabulous style with the Zaha Outdoor Relaxing Chair.